Ever used a stuffed animal bean bag cover that just doesn't hold when you needed it to the most - Tired of all those stuff animals and plush just falling out the bags or lying around the floor somewhere? Whether you experienced this or not, we know that you want and deserve the best. 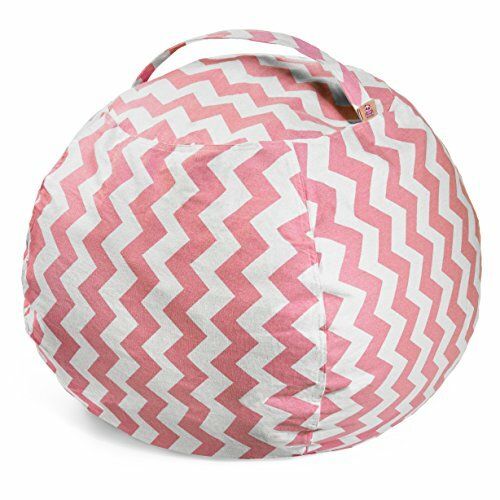 Chevron Pattern - Newly designed zigzag pattern on the storage bean bags that stands out from the rest and gives a sparkling image to kids that will motivate them to clean their rooms. Easy to use - Three simple steps! Stuff, Zip, and Sit. Click on the Add to Cart button now and get your Stuffed Animal Bean Bag Chair within the next 2 days! If you have any questions about this product by Lucky Doos, contact us by completing and submitting the form below. If you are looking for a specif part number, please include it with your message.